PRESS RELEASE | BRUSSELS | APRIL 2017 – The INTRAW project consortium recently launched three operational reports providing insights on best practices and weaknesses of raw materials research & innovation, education & outreach and industry & trade in the five Reference Countries: Australia, Canada, Japan, South Africa and the United States of America. The EU-funded INTRAW project was launched in 2015 with the aim of mapping best practices and boosting cooperation opportunities related to raw materials between the EU and five technologically advanced non-EU countries (Australia, Canada, Japan, South Africa and the United States). The project consortium now presents three reports that focus on raw materials research & innovation, education & outreach or industry & trade, in the five Reference Countries. These three reports underpin the development of a better understanding of the achievements made in these five countries in relation to the entire raw materials value chain. 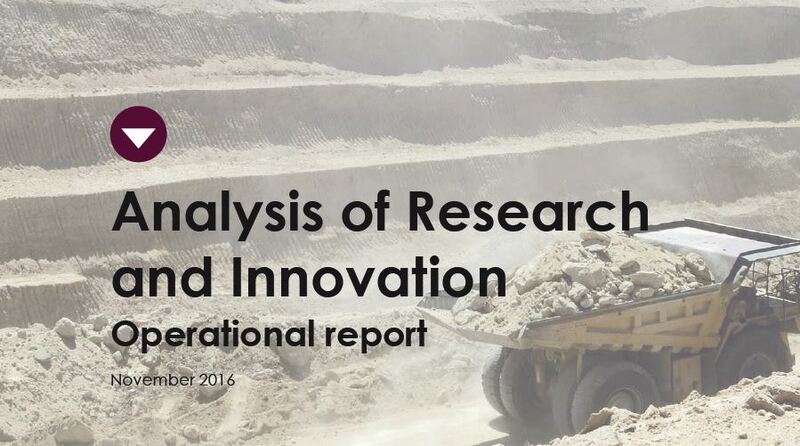 The operational report on research & innovation describes and compares the different innovation systems in Australia, Canada, Japan, South Africa and the United States, comprising – among others – the main role players, institutions and policies that drive research and innovation in the raw materials sector. The raw materials educational context in each of the Reference Countries is mapped in the operational analysis of education & outreach. The report on industry & trade notably includes the characterisation of industrial clusters related to raw materials in these countries and the way these clusters affect trade and global competition. The operational reports and their summaries are available through the project website at https://intraw.eu/publications/. We also invite you to follow our seven weeks social media campaign that provides further insights into the operational reports. As a next step, INTRAW will launch, in the coming weeks, three scenarios describing the world of raw materials in 2050. For more information you may download the full media kit here.